Whisk butter and sugar in a bowl.Add eggs and milk to this mix.Your wet mix is ready. Now seive flour and baking powder to the wet mix. Heat butter in a non stick pan.Brush butter all over the pan. For each pancake,spoon 2 to 3 tbsp of batter onto pan.Using the back of the spoon, spread batter into a round shape. 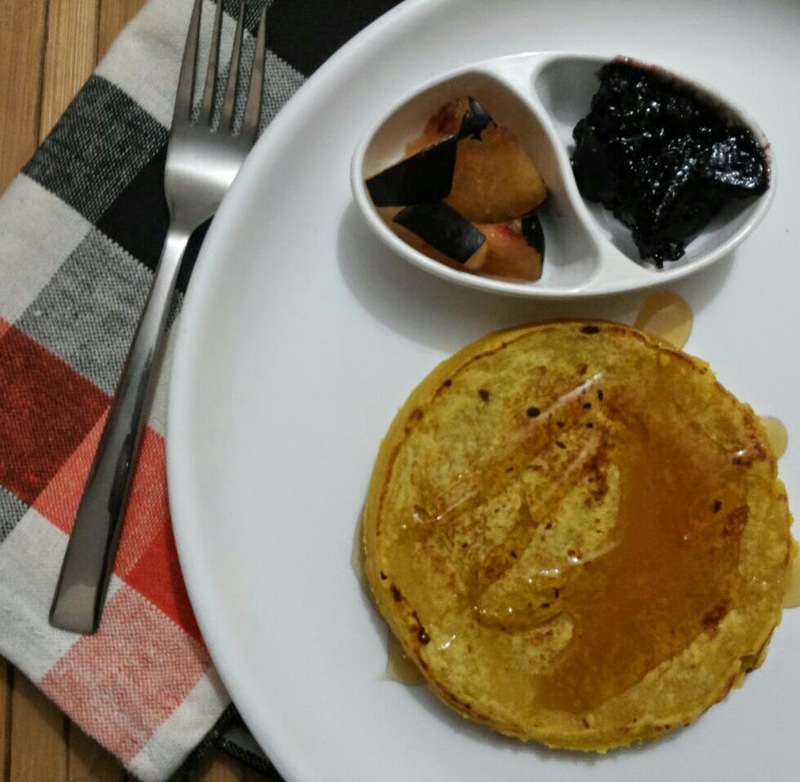 Cook until surface of pancakes have bubbles.Flip carefully with a flat spatula and cook this side till it is brown.Transfer the pancake on plate and serve with desired toppings.Continue making more pancakes with the remaining batter. I have served the pancake here with honey,plum and my sons favourite Berry jam.